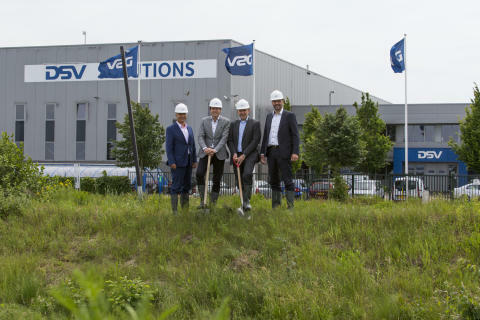 “In 2019, we will complete the construction, which will bring the total managed surface of logistics operations in Venlo to 210.000 m2 not including the DSV Road cross-docking terminal located 2 km south. We are expanding due to a strong growth in demand for logistics services in the region, notably fuelled by increased ecommerce activities”. Venlo is strategically located with optimal access to large consumer markets. The area has been awarded the title for European Logistics hotspot for years in a row, which has been underlined by well-known consumer brands selecting the location for their regional warehousing and distribution. The new facility will feature a high level of automation, specifically geared towards handling of small orders that are typical for ecommerce.